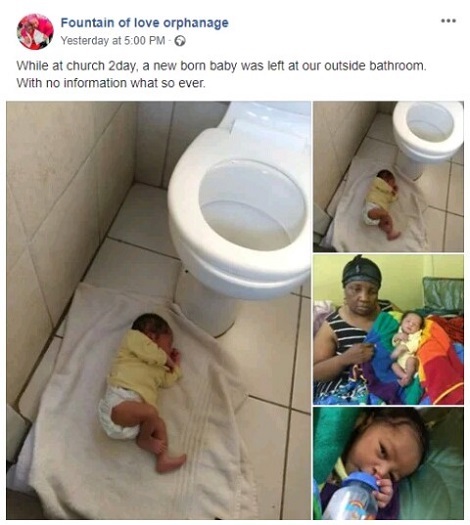 A mother has left her baby in a church bathroom. She carefully placed the baby in the church toilet and disappeared without leaving any information. 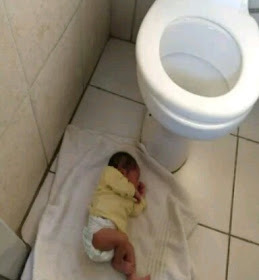 The baby has since been taken to the fountain of the love orphanage, which now looks after the boy.